Which Classic Pinoy Movies Have You Watched? Today’s post is inspired by Which Classic Movies Have You Not Seen from Cup of Joe. I enjoyed reading the post and thought it’d be a good idea to create a Pinoy Classic Movies too. Although this post is not really focused in movies that you have not seen but more of a movies you may have watched. I remember back in my high school days when we were assigned to watch a movie for a group project. I have watched Life is Beautiful and Schindler's List, both great movies that depict World War 2 for our World History subject. I only get to watch a classic Pinoy movie when 1. It’s what is showing on the bus (mostly action movie with Robin Padilla or Cesar Montano and 2. In CinemaOne (combination of classic and recent Pinoy blockbuster movies). But almost all of the Pinoy classic movies I’ve watched through the years were great. They have great storyline and does not depend on love teams unlike the movies today. The subject of the classic movies were very diverse and moving. Himala is a 1982 classic Pinoy movie directed by Ishmael Bernal and with script written by the one and only Ricky Lee based on based on a series of alleged Marian apparitions to schoolgirls on Cabra Island in the province of Occidental Mindoro, which took place from 1966 to 1972. This was Nora Aunor’s most famous movie and what made her a household name in the Philippine cinema. 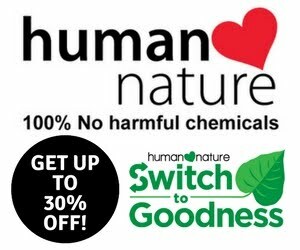 The iconic line, “Walang himala! Ang himala ay nasa puso ng tao, nasa puso nating lahat! Tayo ang gumagawa ng mga himala! Tayo ang gumagawa ng mga sumpa at ng mga diyos..." will surely give you goosebumps. Madrasta is a 1996 classic film featuring Sharon Cuneta and Christopher De Leon. It was directed by Olivia Lamasan who also directed current Pinoy films like Starting Over Again, Barcelona, The Mistress and In The Name of Love. Just like the title of the movie, the story is about Sharon playing the role of Mariel, a loving and nurturing woman who struggles to win the acceptance and affection of her new stepchildren from Christopher De Leon’s first marriage. I was able to watch this film once in Cinema One and it was soooo good. I enjoy the scene where in Sharon and Zsa Zsa Padilla (Christopher’s first wife) confronted each other. Also the scene where the famous line “I’m just your wife” by Sharon became iconic. And did I mention the film includes Claudine Barretto, Patrick Garcia and Camille Pratts as Sharon’s stepchildren? Truly there is no excuse for you not to watch this film! Shake, Rattle and Roll is a Filipino horror anthology film series since 1984. It became part of the Metro Manila Film Festival which is the country’s premier film festival during Christmas Season. Each Shake, Rattle and Roll film has three different stories in it depicting Filipino supernatural beings, superstitions, urban legends, cults and demonic possessions. Pridyider, directed by Ishmael Bernal and part of the very first Share, Rattle and Roll film in 1984 was one of the memorable story ever in the horror anthology. You can also count on 1990 Shake, Rattle and Roll Aswang episode with Manilyn Reynes showing her amazing performance. And who will forget the Undin episode? It was from episode 3 "Nanay" from Shake Rattle And Roll 3 in 1991. Have you seen any Shake, Rattle and Roll movie? Bata, Bata...Paano Ka Ginawa is a film based on the novel written by the one and only Lualhati Bautista, author of Dekada ‘70 and Desparasidos. 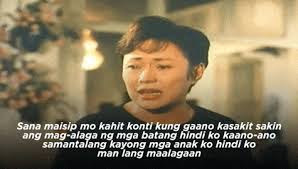 It is the Pinoy film that gave way to one of the greatest movie line ever, “Akala mo lang wala, pero meron, meron, meron” from Carlo Aquino to her then mother in the film, Vilma Santos. The story of Bata, Bata...Paano Ka Ginawa narrates the life of Lea, a working mother, who has two children – a young girl (Serena Dalrymple) to Ding played by ALbert Martinez and a young boy (Carlo Aquino) to Raffy played by Ariel Rivera. The movie depicts the society's view of women, how it is to be a mother, and how a mother executes this role through modern-day concepts of parenthood. This is the classic bida kontrabida Pinoy movie. Maricel Soriano plays the role Clarissa, a girl who aims to be rich and not live in the slumps anymore. Because of this ambition she chose to use other people to reach her dream. The film will give you a roller coaster ride of emotions. From Clarissa’s opportunistic move to her dramatic scenes, no wonder the film Kaya Kong Abutin ang Langit was considered a classic Pinoy movie. 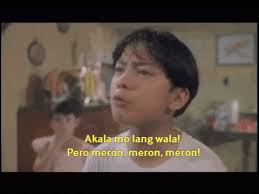 There is also an iconic line by Maricel Soriano in the movie, "Ayoko ng tinatapakan ako, ayoko ng masikip, ayoko ng mabaho, ayoko ng walang tubig, ayoko ng walang pagkain, ayoko ng putik"
Also can’t we just pause and appreciate the my name and the main character’s name is the same? Mine comes with a single “z” though. This movie will definitely make you cry yourself to sleep. I remember watching the movie and I couldn’t help but get affected by how the turn of events in the movie went. The movie revolves around Pikoy, known to all as Magnico. Magnifico's world is filled with a cast of characters in need of his special gifts of hope, of determination, of love. Each of the characters in the movie was touched by Magnifico. I found this link that highlights all the amazing scenes and their meaning throughout the movie. The moral lesson this movie offers is beyond compared. I can even compare the emotion I felt from watching Miracle in Cell No. 7, a famous Korean movie. The movie stars Vilma Santos, Claudine Barreto and Joel Torre. It depicts the story of Josie (Vilama Santos) and her struggle to be loved and accepted again by her children, especially the eldest Carla (Claudine Barreto) after her long absence as a nanny in Hong Kong. Throughout the movie, Carla openly challenges Josie's authority, starts dating boys she knows her mother wouldn't approve of, flaunts her burgeoning sexuality, begins using drugs and has multiple abortions. This film is filled with great scenes that will certainly move you. Note. Most of the details from each classic Pinoy movies were sourced in Wikipedia. Among the list above, which classic Pinoy movies have you watched?